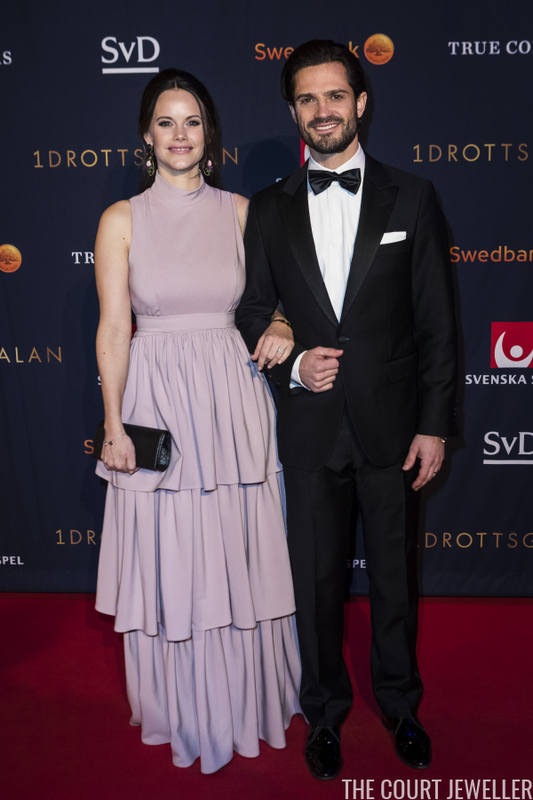 Last week, Crown Princess Mette-Marit of Norway attended a glittering sports gala; this week, it's Princess Sofia of Sweden. 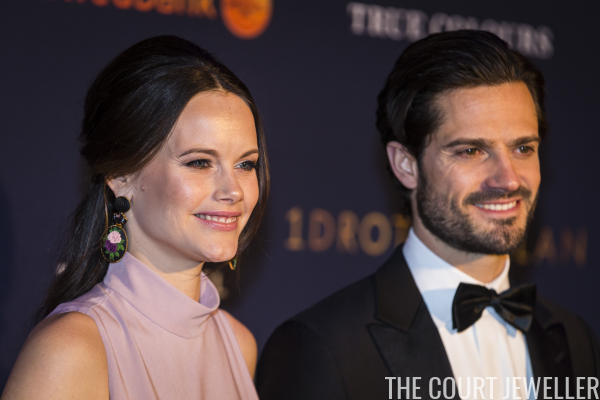 She and Prince Carl Philip walked the red carpet at the Ericsson Globe Arena on Monday, and she wore a major pair of earrings for the event. 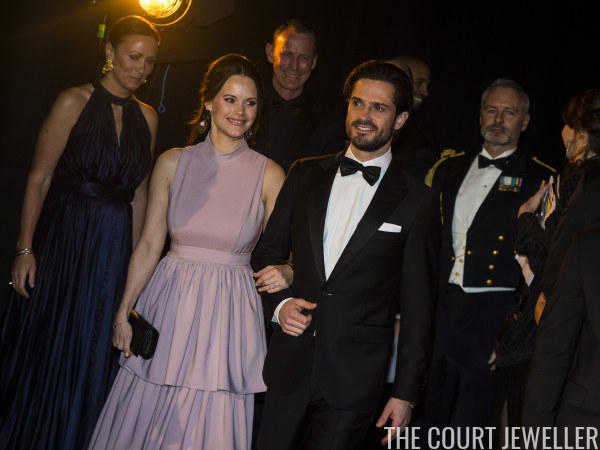 With her light, spring-like gown, Sofia wore a pair of dark statement earrings. The drop of each earring was decorated with a floral pattern that coordinated with the color of her dress. We also got a glimpse of the delicate bracelets on Sofia's right wrist. One features a horseshoe charm, the other a heart charm engraved with the letter A (for her elder son, Prince Alexander). Here's a look at Sofia's entire ensemble for the evening.